Last month I went to Tempe, Arizona, where specialists using acupuncture to treat injuries and pathologies of the musculo-skeletal system came together for a dissection program initiated and led by Alejandro Elorriaga Claraco of the McMaster University Contemporary Medical Acupuncture Program. All of us, medical doctors, chiropractors, physiotherapists, acupuncturists, massage therapists alike, had similar interests and similar goals. First of all, we were all very experienced practitioners with extensive medical training regarding anatomy. 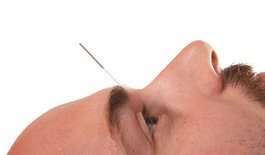 All of us used acupuncture in our various practices and professions. Why were we going back to the original training that we had received many years before? 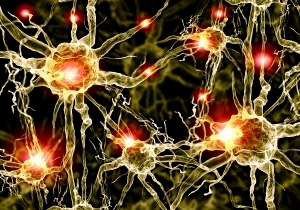 We all wanted to look more closely at the structural components of the nervous system which play the most significant role in controlling functions and structures of the human body. Our special interest was to better see how nerves course through the tissues to supply muscles and joints, to better understand the relationship between nervous system and musculo-skeletal system and to trace nerve pathways. 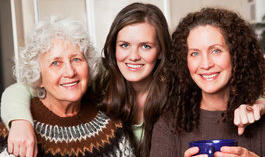 More practically, our goal was to be more efficient and competent when needling tissues and classic acupoints. 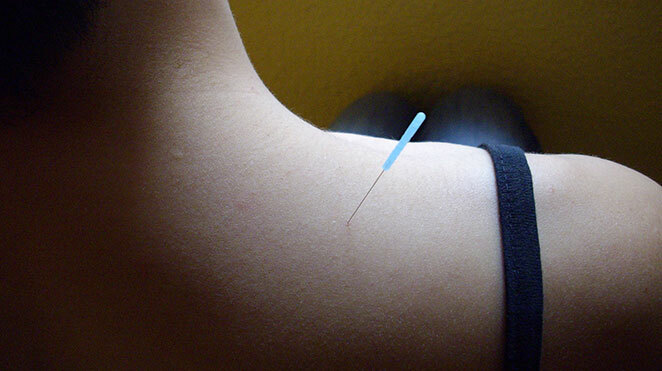 One of the problems with acupuncture is there is not a lot of modern scientific discussion and research regarding where to put the needles. Historically, traditional points were documented centuries ago before we had more sophisticated understanding of the body. 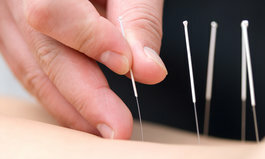 In previous blogs at the Acupuncture Turning Point, I have discussed that the most famous and effective acupoints are located on the pathways of the nerves, close to neuro-muscular bundles or at the sites where nerves are branching or exit bony structures. 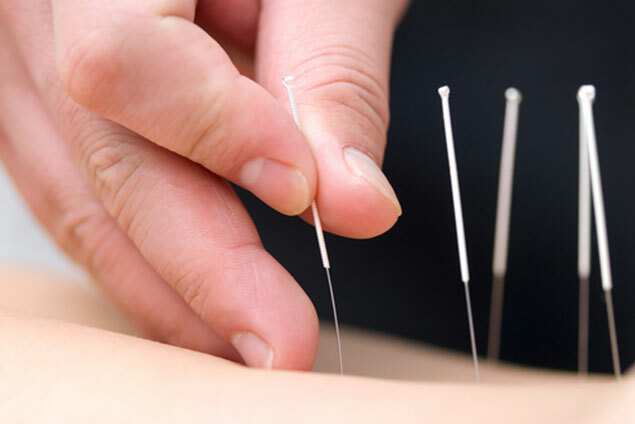 A number of research findings support the more modern view of acupuncture being a modality that modulates the electric signal which goes along the nerve in order to improve function of the body systems as controlled by the brain and the nervous system. In this Arizona workshop we dissected cadavers that had been donated to science. During the autopsy sessions, besides our common focus of the nervous system, some practitioners were paying special attention to connective tissue planes, (what the oriental medical tradition new as meridians), whereas others focused more on the traditional acupoints themselves situated on these meridians. These points are known to trigger a cascade of changes in the body restoring homeostasis and improving the function of different organs and systems. While other practitioners focused on the deeper structures such as bones, joint capsules, ligamentous and tendonous attachments, which when needled and stimulated by acupuncture and electric currents improve outcomes. As a group we were already well aware of motor-points and their anatomical locations and structure, and how some specialists use IMS/dry needling almost exclusively in treating musculoskeletal problems. We were more interested in exploring beyond motor-points. The nervous system can be triggered through these motor points, but also through sensory systems not directly related to muscle activation. Our exploration revealed many complex and rich superficial neurological networks present that are usually not documented in modern anatomy medical atlases. These networks seemed to correlate well with some famous acupuncture points. Some examples that stood out were the acupoints Sp-6,Sp- 9 of the leg, GB-21 of the shoulder, LI-4 of the hand, and LI-20 on the side of the nose, and a few complexes in the groin area (ST-31, Liv-10, Sp-12). Dense neurological networks were seen also to cover joint areas, especially zones with lots of attachments such as at the hip, the knee joint, and the front of the shoulder. During this intensive collaborative program, everybody was making their own discoveries as well learning sharing again and again insights regarding the special features of body structures and their connections among muscles, connective tissue planes and interconnections between different parts of the body. Indeed, we saw a repeating theme: nothing is linear in the body; interconnections are changing shape, direction, and depth and degree everywhere. The simplified anatomical atlases do not convey this complexity. We realized understanding this complexity was not only important in theory to describe the reality of the body, but was very practically important to impact the way we make decisions about where and how to needle the body. This complex non- linear structure of the body is my personal discovery of the year. Just like how fractals can be used to approximate both the micro and macro structure complexity of any ecosystem, so too the loose connective tissue is ordered complexly from the bottom up. It has a structure of geometric shapes attached together repeating itself on a bigger scale. Some lines of tension are easy to see and predict, whereas others go deeper and affect structures which are more obscure and harder to appreciate. Even though I have gone through medical school, operated on the living tissues of many people as a surgeon, and worked for some time now in optimizing function with acupuncture, this has taken time for me to appreciate. 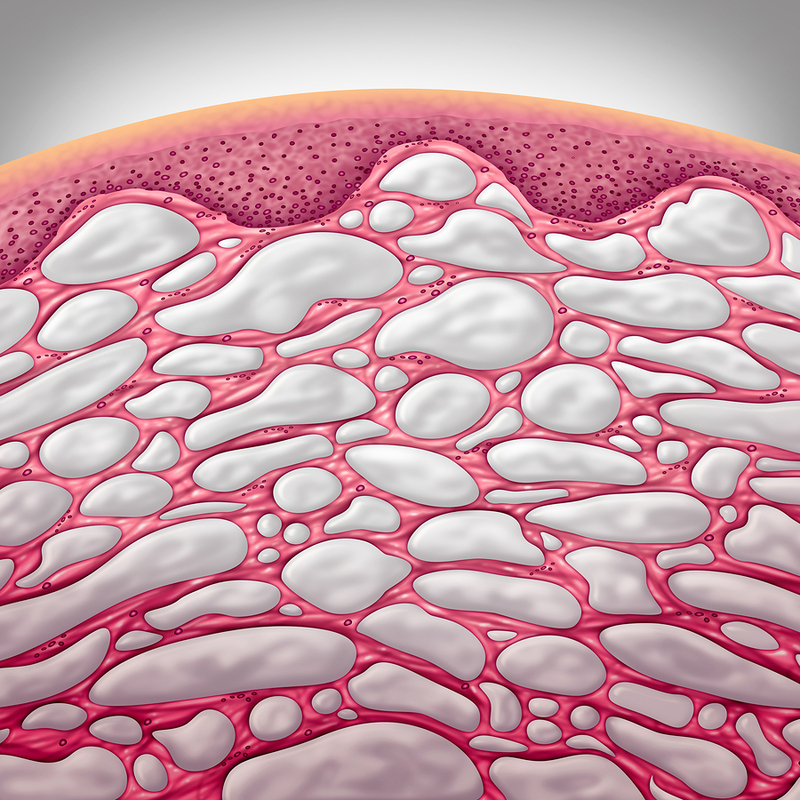 Another insight we had was that nerves are generally well anchored in the body by tight connective tissue attachments to their surrounds to prevent them sliding out of place. Nerves are anchored this way likely to avoid compression and stretch during contraction of muscles and movement of the joints. Normal movement of arms and legs accommodate the nerves in such a manner that they are not physically stretched and stressed. We discussed actually how the lack of normal and regular movement in our society may be critical and contributing to the inability to maintain proper attachments and free play of these peripheral nerves in the body. Inactivity, we thought, may be causing accumulation of fluids (edema), congestion, and possibly adhesions (stickiness as a result of stagnation), and ultimately a progressive form of physical dysfunction for the nervous system. This local stagnation may be seen first in the nervous system, since they are very sensitive to oxygen levels, nutrient and waste conditions and physical compression. We already know absolutely that the body is designed to be active; but our work shed new light onto why activity may be important not only to good health of the nervous system structure, but also to the process of rehabilitation and healing. 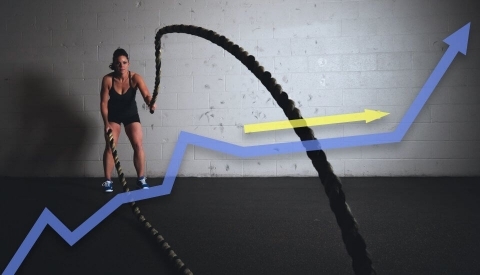 Most of the practitioners who I met work primarily with athletes – we agreed that athletes often get better results from of acupuncture are and these results are usually longest lasting. Obviously, the body is designed to move and small corrections done through acupuncture can foster improvements when coupled with movement between treatments. Athlete or not, this becomes our take home message: movement is critical to our nervous system perhaps more than to our muscles. In treatment with acupuncture, we are helping to regulate or modulate the nervous control of muscles, and it is key for our clients to move with their new functionality to facilitate healing.